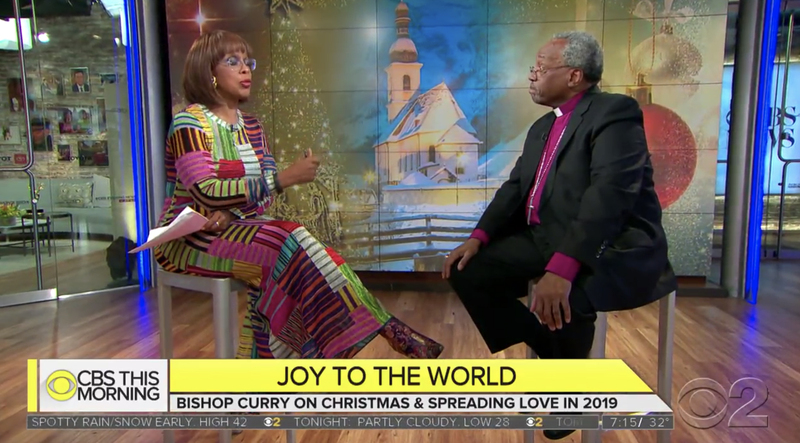 Christmas Day 2018 featured a mix of approaches for broadcast and cable news networks. 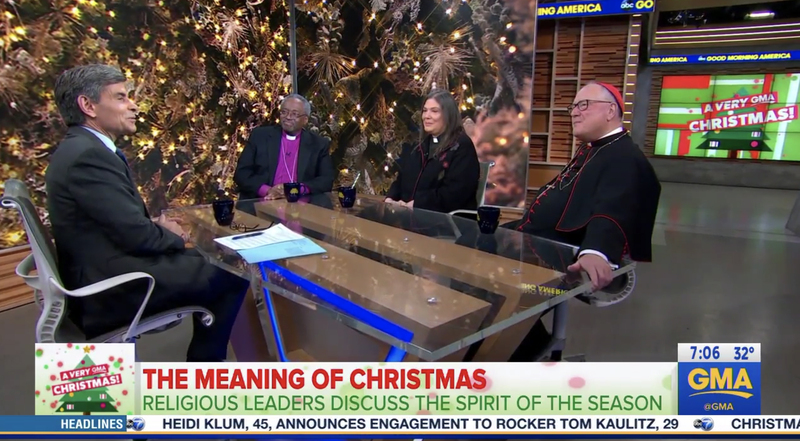 While it’s not uncommon for networks to use substitute hosts and anchors on major holidays, Christmas Day often features pretaped editions of shows designed to “appear” live but purposefully designed to avoid any content that could become out of date. However, it’s also not uncommon to “mix” this approach and have the taped program hosts “toss” to an anchor who is live or whose segment was taped more recently than the main show to provide updates on stories that hadn’t happened at the time of the original taping. The networks tend to be fairly transparent about the fact the programming is pretaped — although they may not make it overly obvious, but often a disclaimer will appear on screen advising viewers the show was pre-produced, references to “live” are removed from opens and, at times, the hosts or anchors may even make references, often jokingly, about the show being recorded days before the airdate. 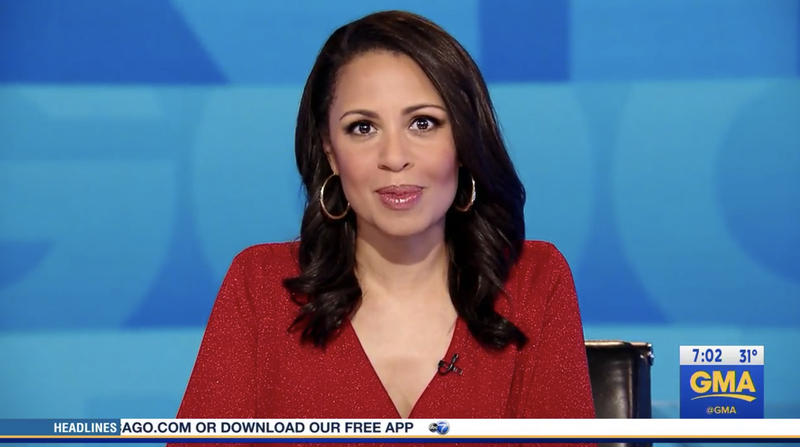 Here’s a look at how NBC, ABC, CBS, Fox News, MSNBC and CNN filled their Christmas morning timeslots. 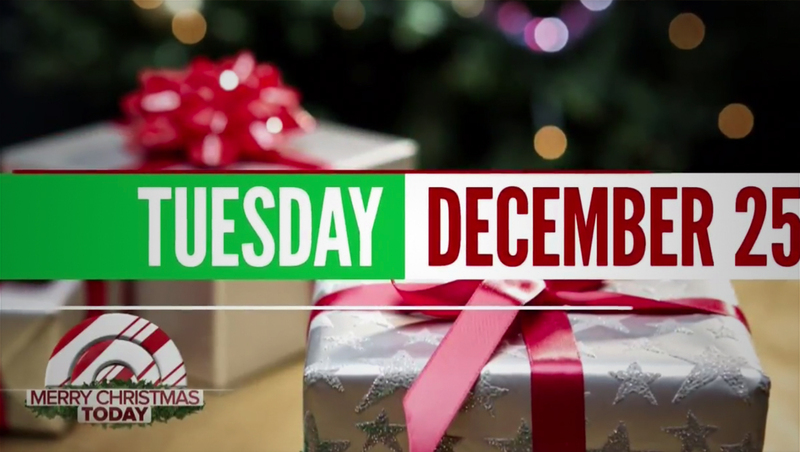 ‘Today’ kicked off its Christmas morning edition with an abbreviated open that eliminated the announcer. 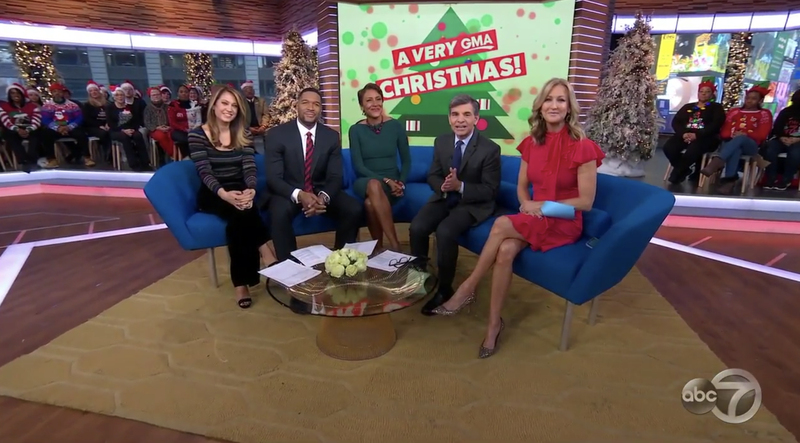 The normal ‘Today’ team was seated around a sofa in front of Studio 1A’s curved video wall that attempted to replicate a festively decorate living room and fireplace. At times, the ‘Today’ sunrise icon was transformed to appear to bee from a candy cane. 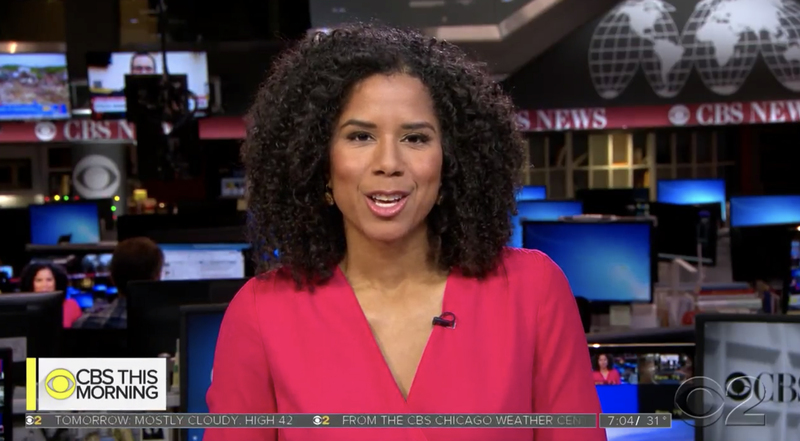 Near the top of the show, co-anchor Savannah Guthrie did a “look live” toss to Morgan Radford, who provided live news updates. 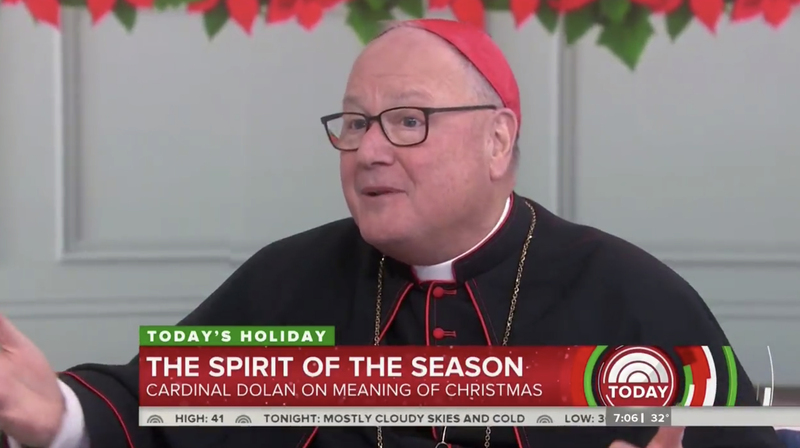 The show then switched to a variety of pre-taped holiday themed content, including a taped visit from Cardinal Timothy Dolan, using a red, green and white version of its lower thirds. “Today Third Hour” and the fourth hour hosted by Kathie Lee Gifford and Hoda Kotb were also pretaped — with a “previously recorded” tag added and the hosts, at times even mentioning the odd time shift of having taped a Christmas day edition days before. “Today Third” hour originated from, as it has been, Studio 6A, the former home of “Megyn Kelly Today.” Gifford and Kotb were in their normal position in front of Studio 1A’s video wall, though the “live” mention was removed from the open. The show started from the second floor of the Times Square studio with matching graphics on the video wall and ribbons. 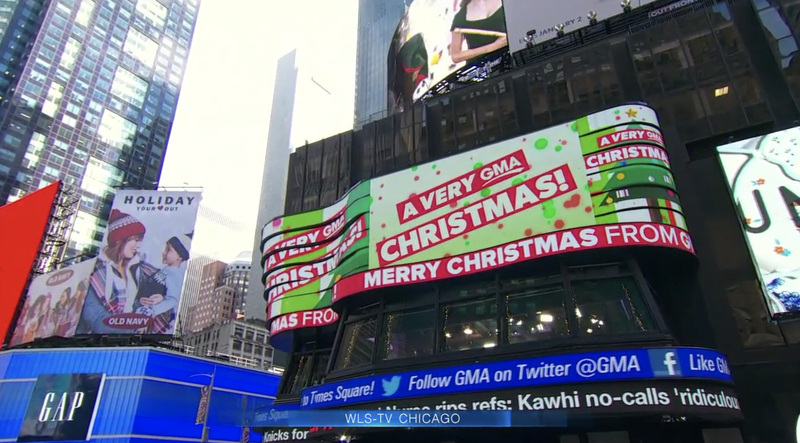 Like ‘Today,’ ‘GMA” then ‘tossed’ to a live news insert. 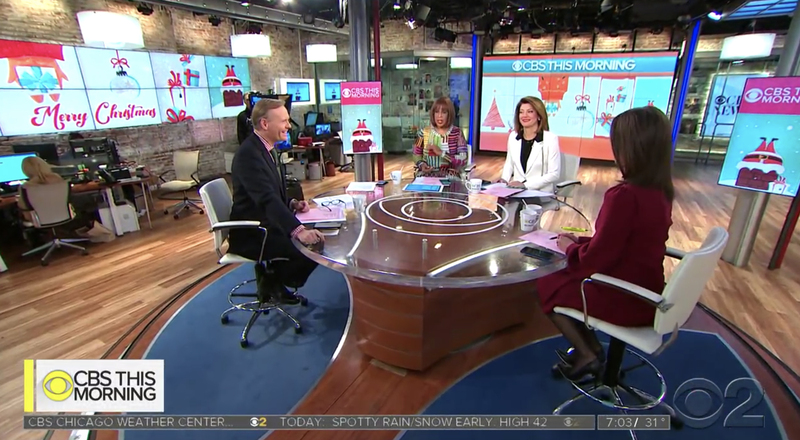 ‘CBS This Morning‘ was mostly pretaped as well, but had the advantage of being able to update the ‘EyeOpener’ segment to include developing news stories and make the broadcast appear ‘fresher.’ The show’s co-hosts were upfront that much of the show was recorded in advance and a ‘portions prerecorded’ tag was added at times. 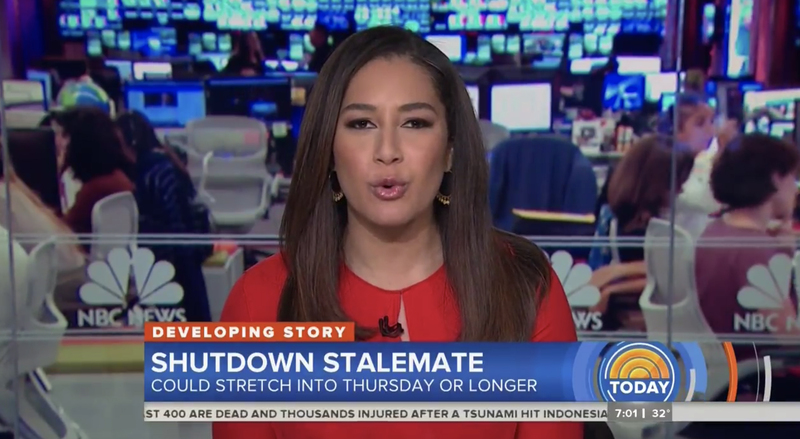 Like its counterparts, CBS tossed to a live news update from ‘the newsroom’ — the studio space often used by the network’s streaming service CBSN. 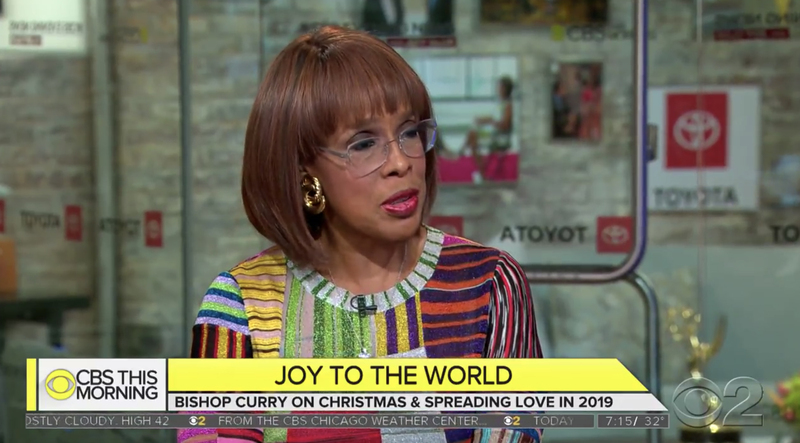 In a somewhat odd move, co-anchor Gayle King, who was conducting the interview in front of one of the studio’s video walls, was placed so that the show’s glass box green room was behind her. The show has ‘sold’ the ‘naming rights’ to the room to Toyota — so King’s one shot during an interview labeled ‘joy to the world’ was filled with Toyota logos (albeit someone of them in reverse because they are affixed to the glass panels and meant to be read from the other side. 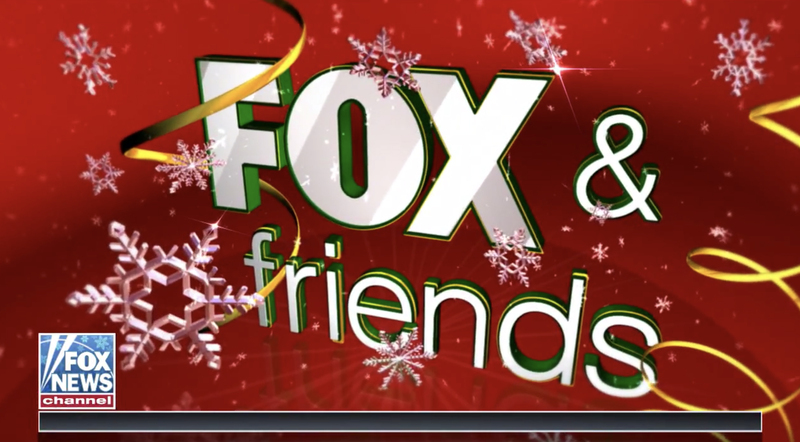 Fox News‘ ‘Fox & Friends‘ appeared to be live Christmas Day, keeping the red and green color scheme and graphics it used Christmas Eve, but continuing to use the more wintery themed snowflake bug. 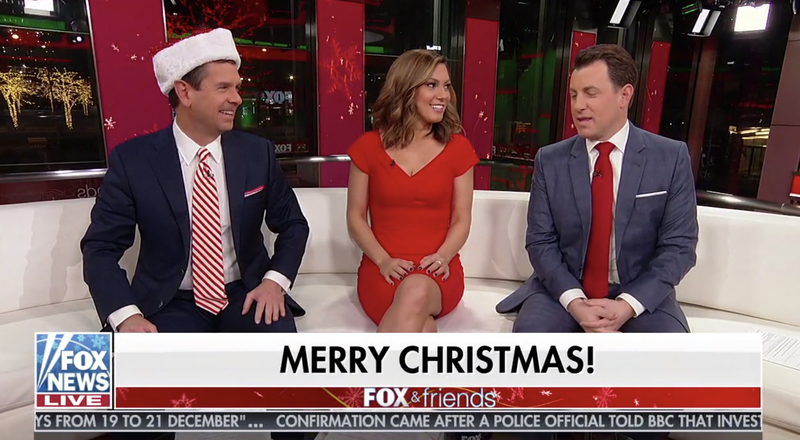 Much of the show was filled with the hosts talking to a man dressed as Santa, asking him questions from viewers, but the show also picked up coverage from overnight, including how Donald and Melania Trump marked Christmas. None of the normal weekday trio of co-hosts appeared. 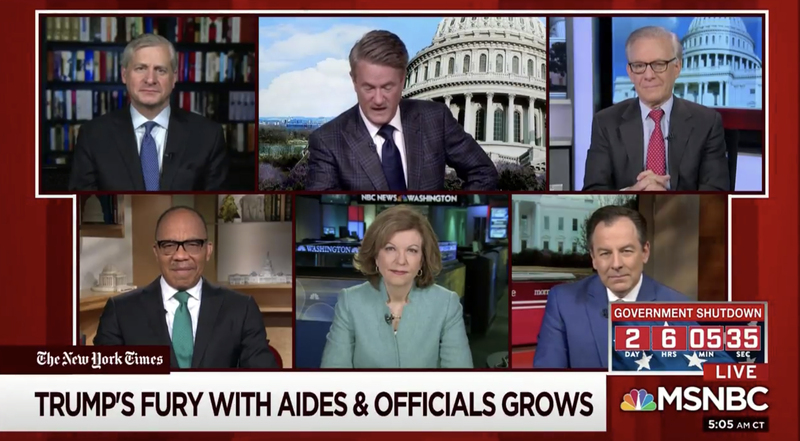 MSNBC’s ‘Morning Joe‘ also appeared to be live, solo hosted by Joe Scarborough hosting the show from a flashcam position. 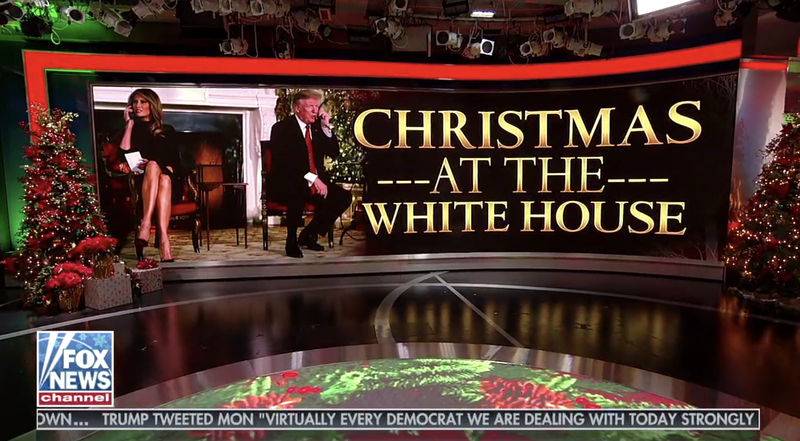 Although his location wasn’t disclosed, he was seated in front of a photo of the Capitol dome, though some of his guests, who he thanked for coming in on Christmas Day, appeared to be using the network’s camera positions at its Washington, D.C. bureau. Scarborough also acknowledged on air that pretaping the show wasn’t practical giving the fast moving news cycle of late. 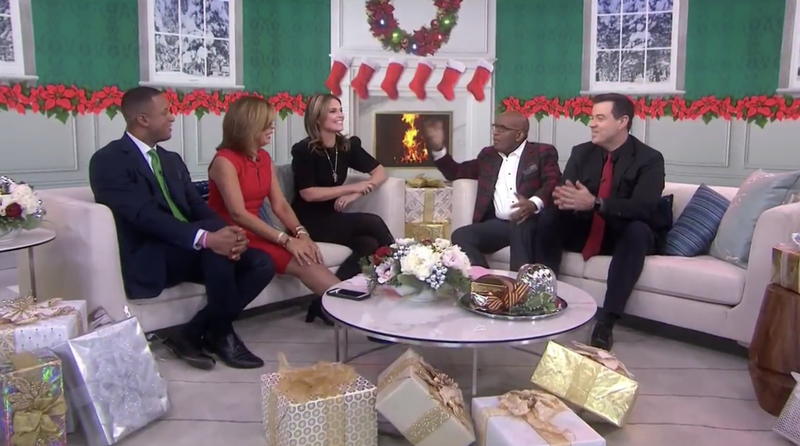 CNN’s ‘New Day‘ aired a mostly pretaped edition Christmas Day. 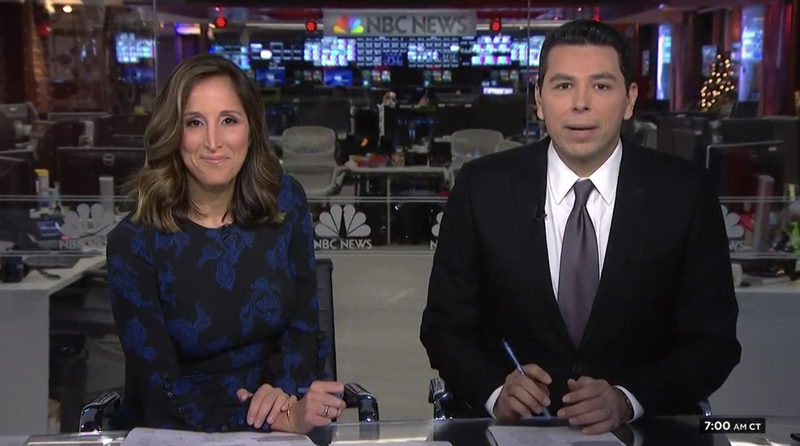 Co-anchors John Berman and Alisyn Camerorta sat on a sofa in one of the show’s alcoves, rather than the main anchor desk, with a Christmas tree behind them. 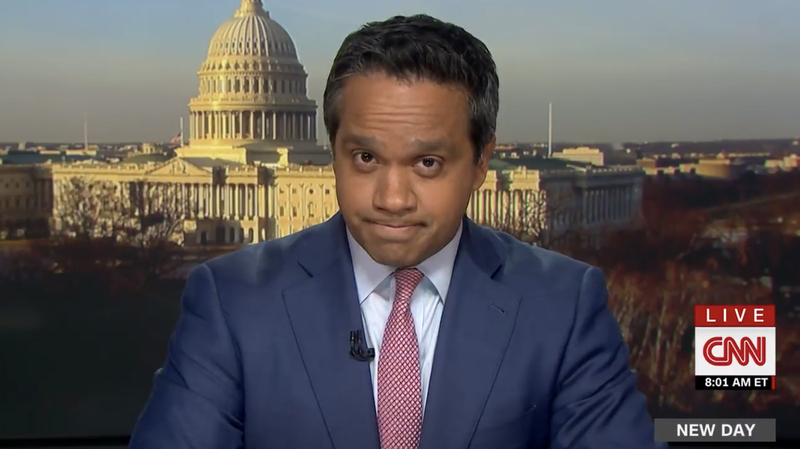 Like its broadcast counterparts, the pair then tossed to live news update at the ‘news desk’ — which appeared to just be a flashcam position with an image of the Capitol in the background — though the background appeared to be a video panel as opposed to a live window view.